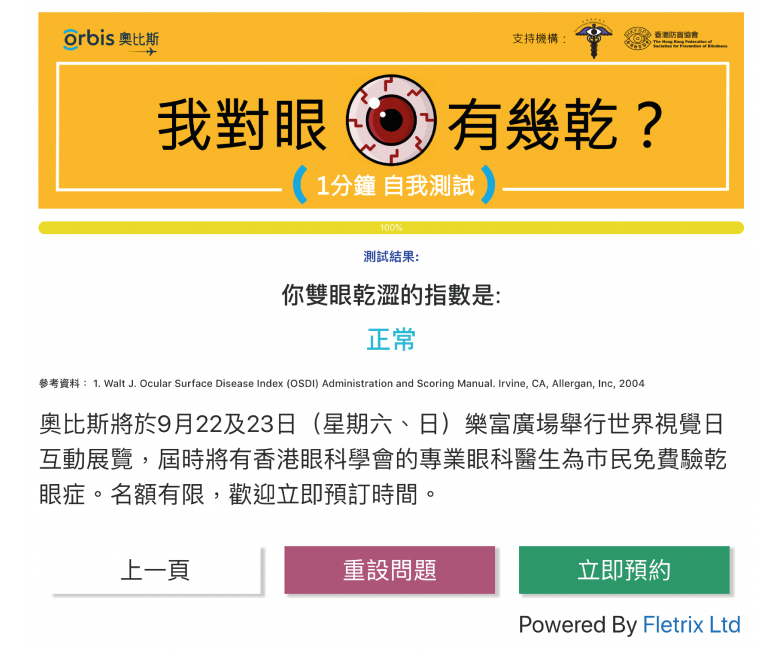 Orbis is an international non-profit non-governmental organization (NGO) dedicated to saving sight worldwide. Its programs focus on the prevention of blindness and the treatment of blinding eye diseases in developing countries through hands-on training, public health education, advocacy and local partnerships. 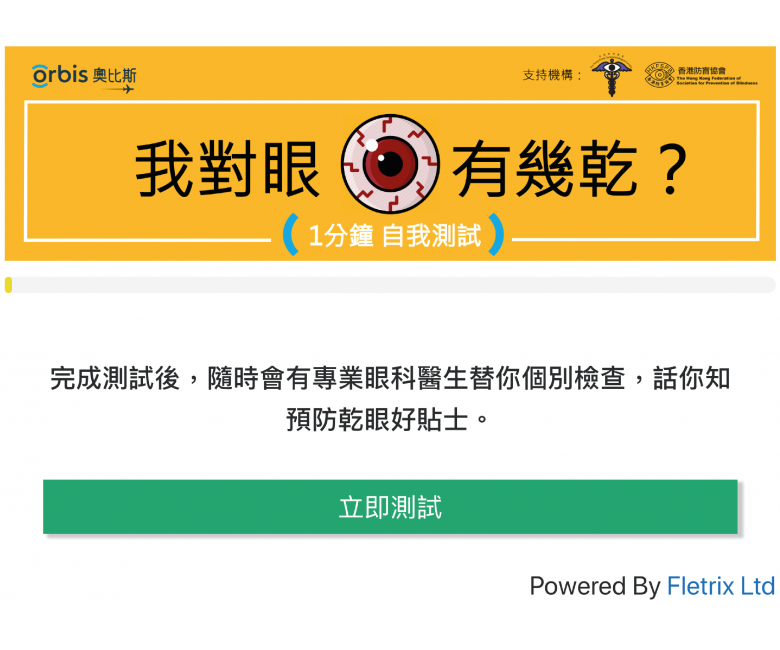 In this project, Fletrix helped Orbis Hong Kong to develop an online questionnaire that is related to dry eye syndrome. The survey is set to raise public awareness and knowledge about dry eye syndrome.